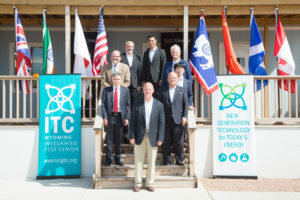 The ITC is a public-private partnership that brings together government, industry and cooperatives with the shared goal of developing commercially viable uses for carbon dioxide emissions from power plants. Basin Electric Power Cooperative is providing the site for the ITC at their Dry Fork Station, along with significant in-kind contributions for the design, engineering and construction of the facility. Tri-State Generation and Transmission Association committed $5 million to match Wyoming’s $15 million commitment. The National Rural Electric Cooperatives Association provided an addition $1 million in support as well.